Can’t get enough of speed? Of course, the average person (READ: you and I) may never get to experience what the boys at the Singapore GP experienced over the last weekend, but good thing we have the PlayStation 3, Xbox 360, Nintendo Wii, and PC to provide vicarious gaming experiences. Come the 26th of October, we are going to be treated to something that just might whet our virtual appetites – Need for Speed: Hot Pursuit, from Electronic Arts and Criterion Studios. Not that the game is anything like the F1 races, but it has been touted as THE game that will bring back some life into the Need for Speed Franchise, which has seen a decline in the recent years. The question is: will this new release really make the franchise more interesting to players? You have to admit – that is pretty impressive. 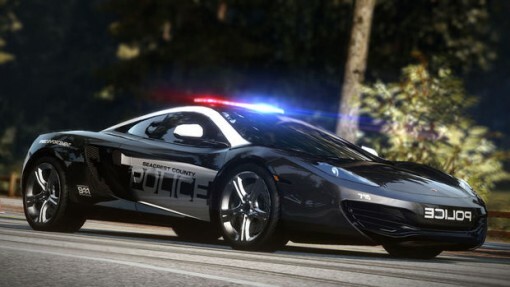 I also have read that the game will not be too focused on the storyline, but instead highlight the fact that cops and players have to perform as best they can to level up. I like how simple that is, without the complication of plots that seem to be a tad too put on. Maybe it’s just me, but when storylines are not excellently crafted, it’s better not to have much of one at all? In any case, for those in Europe, the game will be released a little later – November 19. In the meantime, enjoy the video and get ready to satisfy (and increase) your need for speed!